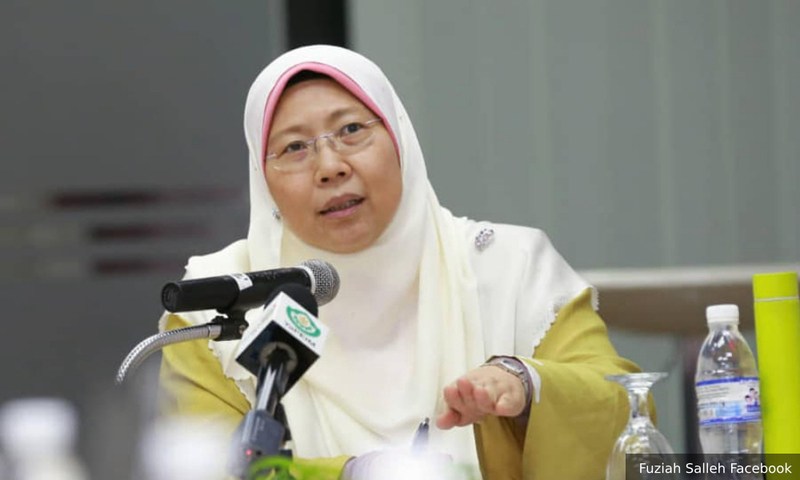 Deputy Minister in the Prime Minister's Department Fuziah Salleh welcomed the government's decision ordering Lynas Corporation Ltd (Lynas) to remove the radioactive waste processed at the company's factory from Kuantan in Pahang. The Kuantan MP said she was informed of the decision reached at a cabinet meeting today following suggestions from the Energy, Science, Technology, Environment and Climate Change Ministry. Describing the decision as the best achievement for the people's cause, Fuziah hoped the process could be carried out as soon as possible. “This is a much awaited decision for the residents and if possible, I hope the process can be done immediately because the water content in the rivers in Kuantan is now almost polluted. “The general population earn their living from the rivers and the sea, imagine if these are polluted, how will they make a living,” she said. Meanwhile, the Prime Minister's Department will propose amendments to the Administration of Islamic Law (Federal Territories) Act 1993 (Act 505) on the issue of Baitulmal funds for emergency purposes. Fuziah said under the provisions of Act 505, Baitulmal is currently only allowed to issue RM50 for an applicant. “Act 505 outlines an emergency fund withdrawal of RM50 which is too small an amount to solve a problem. So, there is a need for the amendment to create a more comprehensive emergency fund distribution method,” he told reporters at the 2018 corporate zakat handover in Putrajaya today. We, the rakyat thank you for returning to the political centre stage through Pakatan Harapan (PH) to get rid of Najib and his kleptocratic regime. 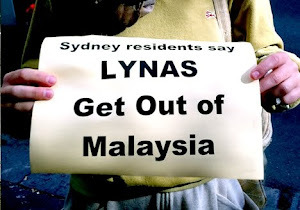 Sadly, Najib has left a poisoned chalice through the 100% Australian-owned Lynas rare earth plant in Malaysia. It is like the toxic legacy of the 1 MDB scandal that will continue to plague PH until it is cleaned up and sorted. Tun, you are a wise Elder stateman. We hope and trust that you can see why Malaysia should enforce our law and regulations on Lynas to ensure that its hazardous waste cease to pollute our precious environment and to spiral into a serious toxic rerun. According to Australian Stock Exchange (ASX) “Good corporate governance promotes investor confidence”. While the ASX and Australia have limited jurisdiction over Lynas’ operations in Malaysia, the PH Government has the power to ensure that Lynas truly complies with Malaysian law and regulations, as well as adhere to the ASX Corporate Governance Principles[ https://www.asx.com.au/documents/asx-compliance/cgc-principles-and-recommendations-3rd-edn.pdf p.3-4]. Sustainable development as promised in the PH Manifesto is only possible ifthe Government upholds our own law to restore order. Many of us have contributed and campaigned for PH to be elected. We supported your leadership because we trust that you will act in Malaysia’s interest and that you will hold your words to undo past mistakes. 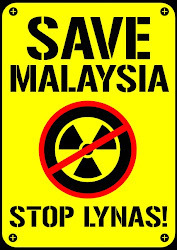 Lynas is a major mistake committed by the Najib regime. We now count on you to join Energy, Technology, Science, Climate Change and Environment Minister Yeo Bee Yin to right this wrong to pave the way for Malaysia to pursue a new clean and safe sustainable pathway of development. Lynas’ waste is neither earth nor harmless and there are over 1.5 million tonnes of it contaminating our environment right now. The waste is a concoction of chemical compounds containing cancer-causing radionuclides, heavy metals and other toxic elements including arsenic and chemicals. Scientific fact - radiation beyond the background increases the risk of getting cancer, due to both the external and internal radiation effects. In 2015, a major epidemiological cohort study involving 308 297 workers exposed to low-level radioactivity provided a direct estimate of the association between protracted low dose exposure to ionising radiation and deaths from solid cancer. International Commission on Radiological Protection (ICRP) has made scientifically-based recommendations since 1990 to limit the single-source radiation exposure above the background to 1 mSv per year per person. Lynas’ WLP waste currently has an exposure dose of 14.4 mSv per year per person. When Lynas mined, milled and chemically processed its lanthanide ore bearing hazardous elements and radionuclides, these toxic elements are released from their natural shields and they will harm us and our environment. Lynas’ current storage facility in a peat mangrove swamp is grossly inadequate resulting in serious contaminations problems. While ARE feedstock has much higher level of radioactivity, Lynas will generate 160 times more waste than ARE’s in another 15 years’ time, the health care and environmental damage costs will spiral. To then isolate the nearly 2 million tonnes of WLP waste will require close to 100 square kilometres of pristine forest to be permanently wasted to create another toxic tomb. The information you have received about Lynas is incorrect. Lynas’ own ground water monitoring data revealed to the Executive Review Committee (ERC) have shown serious heavy metal contaminations since 2015[ Laporan Jawatankuasa Eksekutif Penilaian Operasi Lynas Advanced Materials Plant, 2018. P.80-81]. None of our regulators has acted on it even though they are mandated to protect our environment and our community. As rakyat who want the best for our beloved Malaysia, we present here through this open letter the facts about Lynas. 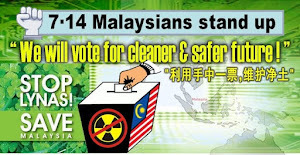 1.water-leached purification (WLP) waste currently totalling 451,564 tonnes contaminated with 880,000kg long living thorium (radioactivity of 8Bq/g with a half-life of 14 billion year), 7,700kg uranium[Estimates based on 2014 UKM research findings (https://ukm.pure.elsevier.com/en/publications/thorium-uranium-and-rare-earth-elements-content-in-lanthanide-con) on the Thorium and Uranium concentration of Lynas’ WLP waste], 1,305,000 kg manganese, 359,000 kg chromium, 221,000 kg lead, 50,124kg nickel, 5,800kg arsenic, 3,700 cadmium and other heavy metals[ Environ, 2011, Safety Case of the Radioactive Waste Disposal LAMP, p. 26]. a.Lynas' WLP waste to rare earth oxides (REO) ratio has increased by 2.5 times from its declared ratio of 64,000:22,500=2.8 tonnes per tonne of REO. Its current ratio is 451,564:62,582[ Estimated from Lynas’ Quarterly Reports ]=7.2 tonnes per tonne of REO. Lynas should have sought approval for the higher waste ratio, carried out a new radiological risk assessment and a new safety case analysis for the increase in its hazards load as it has serious safety implications for Malaysia. In 20 years’ time, the total accumulated WLP waste will be over 3 million tonnes. Our regulatory agencies AELB and DoE had failed to act on this. 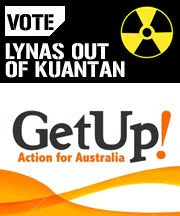 b.WLP waste is a radioactive waste by Australian definition which would need a special permit to return to Lynas’ mine pit under very stringent regulatory control. [ See ref 3 Hansard entry for the Senate Questions on Notice in the previous page] It is the safest option for Malaysia. Leaving it in high population-density Malaysia in its current low-lying peat swamp location will add significant hazards to our environment, posing serious intergenerational threat to both our environment and our community. 2.1,113,000 tonnes of neutralisation underflow residue (NUF) waste classified as scheduled waste which is essentially a contaminated gypsum which Lynas has yet to commercialised despite claims made in its own waste management plan. This waste is no longer kept in its original facility since all of the four retention ponds have now been used to store the WLP waste. They are left in open space as shown in the aerial photo in page 1. Lynas’ waste storage facility, claimed by Lynas to be an international best practice, has been assessed to be inadequate in preventing ground and surface water contamination and flooding runoffs[ Oeko Institute, 2013, Description and Critical Environmental Evaluation of the REE Refining Plant LAMP. P. 53-80]. This assessment is now proven true by Lynas’ own ground water monitoring data for nickel, chromium, lead and mercury revealed by the ERC on p.80-81. These are toxic elements that should never be allowed to contaminate our environment. The maximum recorded contamination level of 96,110 µg/l for nickel was at or near the Lynas waste water discharge point, labelled as GW13. This reading is over 1000 times higher than the Dutch intervention level of 75 µg/l! [ Laporan Jawatankuasa Eksekutif Penilaian Operasi Lynas Advanced Materials Plant, 2018 ]. This is just the tip of the iceberg as we have no access to further monitoring data from Lynas. It is a long-established scientific fact that radiation beyond the background increases the risk of getting cancer, due both the external and internal radiation effects. 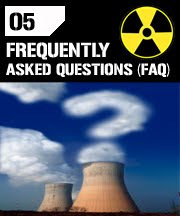 It is for this very reason that the International Commission on Radiological Protection (ICRP) has made scientifically-based recommendations since 1990 to limit the single-source exposure above the background to 1 mSv per year per person – known as the annual effective dose limit for public[ https://hps.org/publicinformation/ate/q8900.html]. 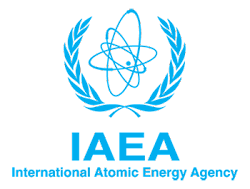 This recommendation was reaffirmed in the 2007 ICRP report[ The 2007 Recommendations of the International Commission on Radiological Protection. Publication 103, Annals of the ICRP, Vol. 37]. In 2015, a major epidemiological cohort study involving 308 297 workers exposed to low-level radioactivity in France, United Kingdom and the United States of America provided a direct estimate of the association between protracted low dose exposure to ionising radiation and deaths from solid cancer[ https://www.bmj.com/content/351/bmj.h5359 - British Medical Journal]. Lynas has claimed that the toxic elements in its wastes are naturally occurring and are found everywhere in our environment and are therefore harmless. In truth, when Lynas mined, milled and chemically processed its lanthanide ore bearing hazardous elements and radionuclides, they are released from their natural shields which have protected them from getting into contact with us and our environment. Comparing naturally occurring radioactive materials (NORM) in beach sand, rocks, soil, etc in their natural shielded states with Lynas’ imported NORM processed in Malaysia and left in its waste is an insult to our intelligence. 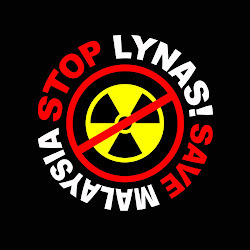 The low risk radioactivity Lynas has claimed for its operations has not accounted for the biological effects of ionizing radiation and toxic hazards from its contaminants in the waste. [ https://www.epa.gov/radiation/tenorm-rare-earths-mining-wastes – US EPA’s Radiation Protection Guide on TENORM : Processing rare earth minerals involves the separation and removal of uranium and thorium, which results in TENORM wastes] These are Lynas’ real public and industrial hazards which it has failed to contain and safely managed. The toxic legacy in Bukit Merah is a mistake that should not be repeated. 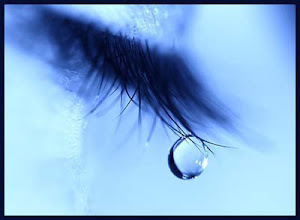 Countless number of children died of childhood leukemia. Miscarriages, cancer cases and birth defects affected those who were exposed to the Mitsubishi’s Asian Rare Earth (ARE) hazards. Bukit Merah has become an infamous case study of mismanagement of industrial hazards which has shadowed over Malaysia’s governance credentials. While ARE feedstock has much higher level of radioactivity, the amount of WLP waste generated by Lynas to date has already exceeded the total generated by ARE in its entire operational lifetime by 40 times!! 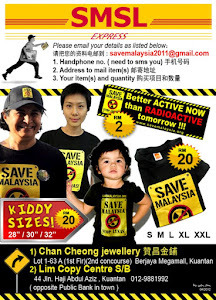 The quantity of thorium, uranium, heavy metals, toxic elements and chemicals in Lynas’ wastes pose significant hazards to require their total removal from Malaysia to avoid costly health and environmental disasters which often take a long time to surface for this kind of pollution. The paltry US$50 million Lynas has committed to the de-commissioning fund will not be enough to clean up the mess 160 times more than ARE. Lynas’ attempt to make its current storage facility in a peat swamp is grossly irresponsible given the serious contaminations problems that have already occurred. Minister Yeo Bee Yin is right in exercising the power of the Government to order Lynas to remove its WLP waste from Malaysia and to clean up its scheduled waste in accordance with Malaysian law and regulations – law and order must be restored and upheld. The opportunity costs of sacrificing at least 100 square kilometres of precious pristine rainforest to bury Lynas’ colossal toxic waste, its entire plant and equipment during decommissioning will be immense. The risk of leakage and exposure to future generations from a major landslide or erosion – both of which are common occurrences in Malaysia, is real and costly. Malaysia will end up footing their rising medical bills and our economy suffers through the loss of productivity, contaminated seafood, expensive legacy site clean-up and a poor reputation. Tourism industry which has provided more safe and sustainable employment to locals will be severely affected. Will Lynas pay for these costs, permanent damages and bear responsibility in perpetuality? What if the contamination and hazards spread further afield? Is it worth paying such high costs for a rogue Australian junior mining company like Lynas? Sure, extraction of amang, mineral ores, by-products or used products containing rare earth elements (REE) should be pursued when it is commercially and technically viable to do so in socially responsible and ecologically sustainable manners. However, the way Lynas has done it in Malaysian is far from being responsible or ecologically sustainable. It is for this reason that until today, seven years from when Lynas is known to the people in Malaysia, it STILL has no social licence to operate. PH cannot afford this public health scandal. If Lynas was genuinely serious about international best practice, it would have stayed in Western Australia to comply with its stringent requirements to keep its supply chain clean. 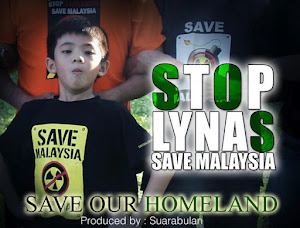 Instead Lynas has polluted Malaysia, inflicted a costly slow violence upon the local community and still persistently trying to deceive the Government to accept its hazards. Lynas lacks ethics, transparency and corporate social and environmental responsibility, as promoted by the Australian Stock Exchange corporate governance principles, towards Malaysia and the rakyat; its own shareholders and investors who might have invested in the company, misled to believe that it has adhered to a decent governance standard, when the opposite is true. As a trained medical doctor, Tun, it is prudence that you take recommendations from the ICRP and WHO seriously, in our national interests and for the sake of the rakyat who are already at risk. Every day that the WLP waste remains in Malaysia, it will be a stark reminder that PH has accepted Najib’s poisoned chalice to allow a mega toxic legacy to fester and grow into a costly and dangerous permanent sore for Malaysia. Many people, especially those from responsible industries and businesses might have half guessed why and how Lynas could get away with accumulating huge amount of contaminated wastes by its Gebeng plant for over six years. No other industry or business anywhere in Malaysia could get away with so much waste left to contaminate our environment and let its hazards spread amidst claims of ‘zero-harm’ and ‘compliance’. SMSL has identified numerous areas where our regulators have failed to act to prevent contamination of our environment by Lynas’ radionuclides and toxic substances. SMSL is documenting these violations and breaches with the aim to lodge a complaint with the MACC. “Malaysia must be the only country in the world that has fast tracked a rare earth refinery plant construction with just a preliminary environmental impact assessment; then issue a temporary operating licence followed by a full licence which was subsequently renewed, in the absence of full compliance to licence conditions by Lynas.” Mr Hon lamented. “When Lynas claimed that it has complied with the law, it is the law which AELB and DoE/JAS have bent for Lynas. 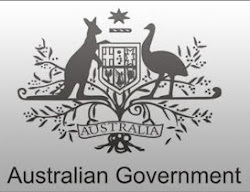 As an Australian corporate entity, Lynas should adhere to the ASX Corporate Governance Principles – especially Principle 3 which requires that it acts ‘ethically and responsibly’ which goes ‘well beyond mere compliance with legal obligations and involves acting with honesty, integrity’ and ‘includes being, and being seen to be, a good corporate citizen, acting responsibly towards the environment.’”[ https://www.asx.com.au/documents/asx-compliance/cgc-principles-and-recommendations-3rd-edn.pdf] He added. 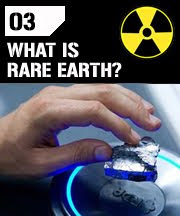 Rare earth processing has long been avoided by most advanced industrialised countries because of its association with environmental pollution and its massive amount of long-living thorium and hazardous waste. This type of waste needs to be isolated from the biosphere in high standard costly engineered facility. Lynas’ RSF is not adequate as its own ground water monitoring data in 2015-2016 already indicated serious contaminations have occurred. To date, Lynas has produced 451,564 metric tonnes of waste from the water leached purification stream – the most hazardous waste stream that is contaminated with an estimated 880 metric tonnes of long live thorium and 7.7 metric tonnes of uranium – both are radionuclides that are sources of cancer-causing ionising radiation. This stream of waste is also contaminated with heavy metals and arsenic – see the attached summary for details of these elements and their associated health hazards. “Lynas has claimed that these are naturally occurring elements and are found everywhere in our environment. This is only half of the story. When Lynas mined, milled and chemically processed its lanthanide ore bearing hazardous elements and radionuclides, they are released from their natural shields which have protected them from getting into contact with us and our environment.” Explained Dr. Ir. Tan Ka Kheng, an Environmental researcher and semi-retired professor graduated with PhD from Cambridge University and a MSc from University of California in Berkeley, with a long career in Chemical and Environmental Engineering. 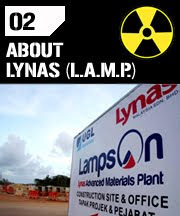 "The low risk radioactivity Lynas has claimed for its operations has not accounted for the biological effects of ionizing radiation and toxic hazards from its contaminants in the waste. These are the real public and industrial hazards.” He clarified. "These contamination data are from Lynas own monitoring stations, surrounding its waste storage facility and its final waste water discharge point. Bauxite ores from the Gebeng[ Phang Biao Yu, (2017), Geotechnical Properties And Morphological Properties Of Raw And Processed Gebeng Bauxite, Universiti Malaysia Pahang, p.67] area contain 88ppm nickel and Bukit Goh[ Hasan, M. et. al., (2017) Properties of Raw And Processed Bukit Goh Bauxite In Kuantan, Pahang In Accordance With Imsbc Code http://umpir.ump.edu.my/id/eprint/18925/ p. 5] contains almost undetectable amount of nickel, whereas Lynas’ own WLP waste contain 111mg/kg of nickel[ Environ, 2011, Safety Case of Radiological Waste LAMP. P. 26]. The maximum recorded contamination level of 96,110 µg/l was from Lynas’ sampling stations at its waste water discharge point, labelled as GW13. This reading is over 1000 times higher than the Dutch intervention level of 75 µg/l! That is about 10% of the WLP nickel concentration.” Dr Tan elaborated on the ERC data. “All of its nickel data exceeded the Dutch limit of 75 g/l. Also the few chromium data available in the Table - 31 µg/l to 266 µg/l - exceeded the Dutch intervention limit of 30 µg/l. Similarly with its lead (Pb) and mercury (Hg) data. These are all toxic elements that will adversely affect our environment with serious implications for community health. We need access to all monitoring data to get to the bottom of Lynas’ pollution problems.” He added. “It is high time the MACC starts to look into how Lynas could get its construction approval and keep getting its operating license renewed even when DoE and AELB have full access to Lynas monitoring data. How long will the Pakatan Harapan Government tolerate serious ground water contaminations and the massive amount of wastes left in such a leaky facility to continue to pollute our environment and to spread hazards to our community. ” Concluded Mr. Tan. 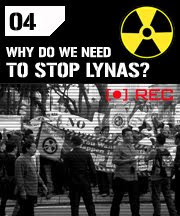 PETITION 04: Show our solidarity against Lynas by writing to IAEA! : : © Copyright 2011 Fiction Fire Media. 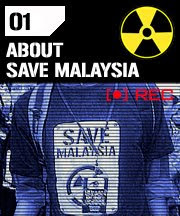 © Copyright 2011 Save Malaysia. All rights reserved. Theme images by enot-poloskun. Powered by Blogger.